George Michael last performed in Tampa in 1988, when Faith ruled the radio and its videos aired like a loop on MTV. While the twenty years since haven’t yielded as much Stateside success for the British superstar, over 11,000 euphoric fans welcomed him back with open arms (and shrieks and screams) on Saturday night at the St. Pete Times Forum. A class act and a gracious host, Michael conceded at the outset that he was battling a cold but would carry on regardless. And as far as his showmanship is concerned — to say that the man commands a stage is an understatement — he certainly didn’t disappoint. What proved frustrating, though, was his song selection. Ostensibly touring in support of a career-spanning compilation, TwentyFive, he curiously chose songs more familiar to European audiences — where he has sustained a relatively consistent run of hits. As a result, instead of being more accommodating to his American fanbase, his omissions seemed more prevalent than what made the cut. The performance split into two parts, Michael offered the bulk of the highlights in the hour-long first half. After singing “Waiting (The Reprise)” behind the stage — an elaborate yet elegant design of cascading LED screens — he formally commenced with “Fastlove Pt. 1.” He then mixed Wham! favorites like “I’m Your Man” and “Everything She Wants” with solo smashes including “Father Figure” and a gospel version of “One More Try,” the latter gorgeously fortified by a choir of six background singers. The frustration set in when Michael sang a charming but unnecessary cover of “First Time Ever I Saw Your Face,” which, despite its inclusion on TwentyFive, isn’t exactly an essential (or even representative) song choice. In fact, much of what comprised the second (and considerably shorter) set didn’t reflect either his greatest hits or what best distinguished his music on this side of the Atlantic. With the exception of “Faith,” nothing he sang in this segment — from “Spinning the Wheel” to “Flawless (Go To the City)” — equaled or came anywhere close to the familiarity of what he could have alternately done. Such was evident in the encore, during which Michael barely had to ask the audience to sing “Careless Whisper” with him. “Come on, Tampa,” he teased. “You know you want to.” The sing-a-long continued with “Freedom ’90,” which ended the evening. Finding fault with the setlist, however, doesn’t diminish how well Michael performed, how appreciative he was of his audience, and how well the audience responded. Actually, the crowd at times seemed so enthralled simply by his presence, the man probably could have balanced his checkbook on stage and garnered a similar reaction. “Not all of you will know it, but I’ll forgive you if you dance,” he said before singing “An Easier Affair” early on, the sentiment ultimately summing up the concert as a whole. 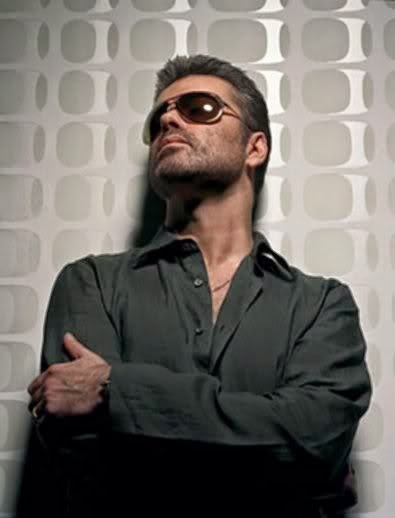 An artist shouldn’t necessarily have to oblige his most casual fans, but given his two-decade absence from the American concert scene, George Michael could have offered a set more reflective of his success here.